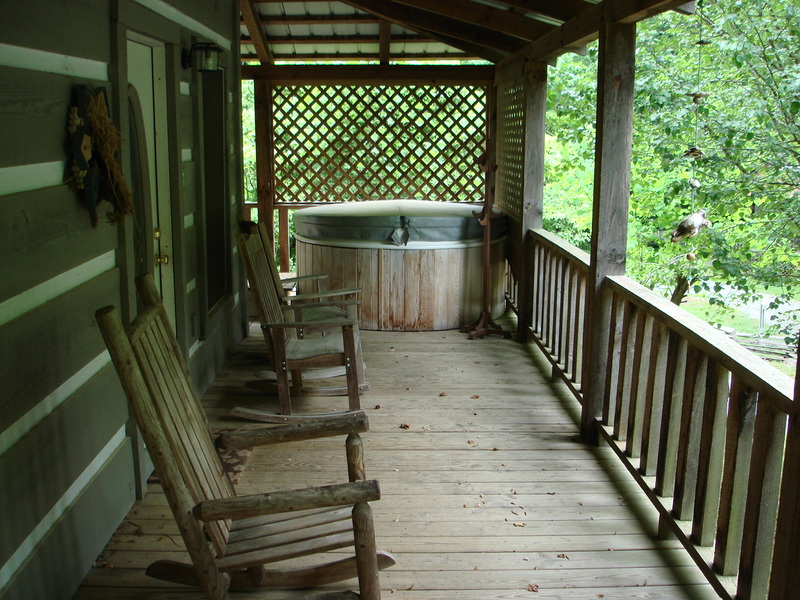 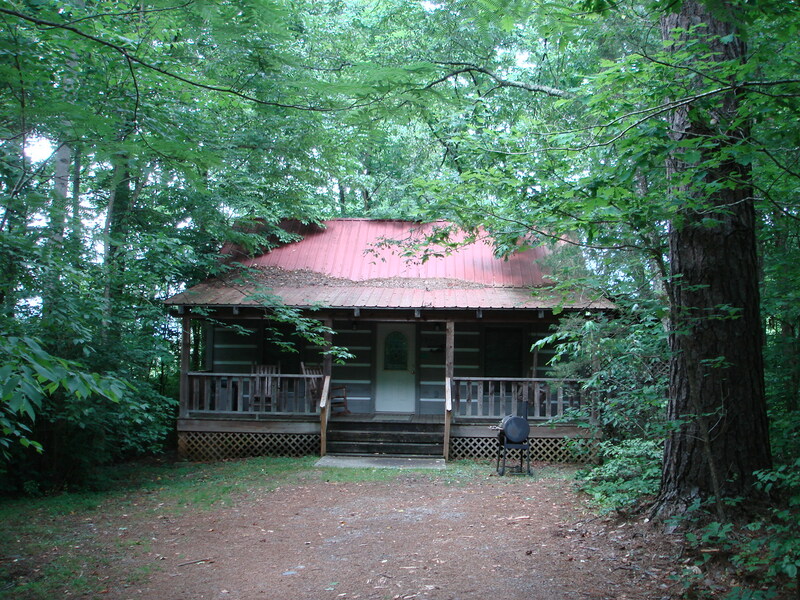 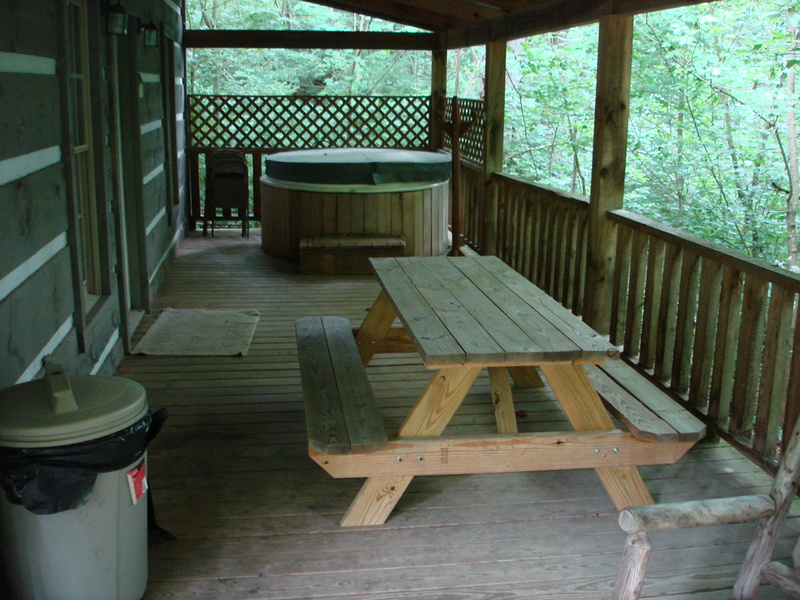 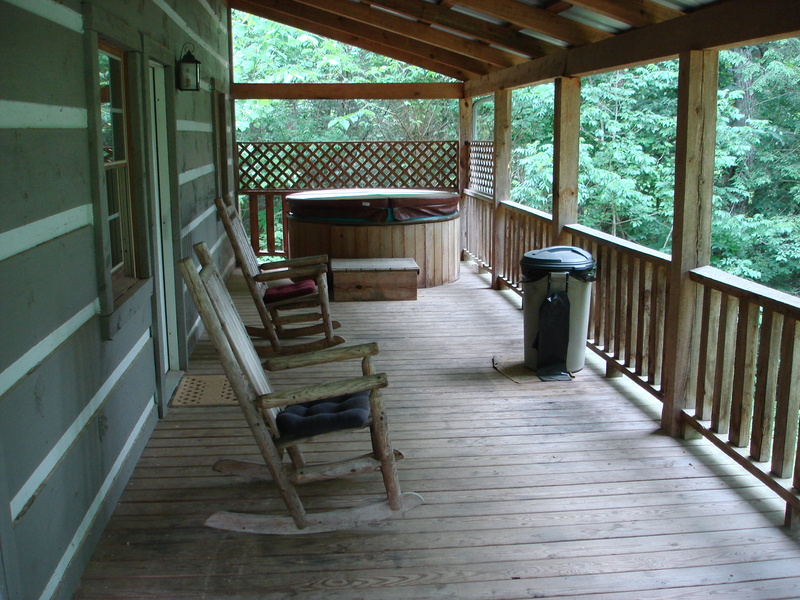 With our private Townsend, TN cabin rentals you’ll experience a new definition of relaxation in the beauty of Townsend Tennessee. 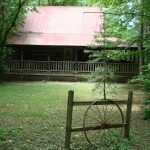 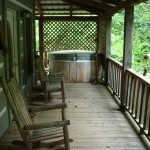 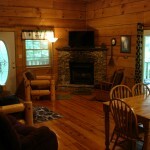 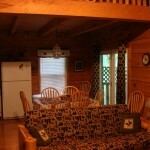 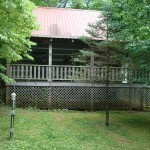 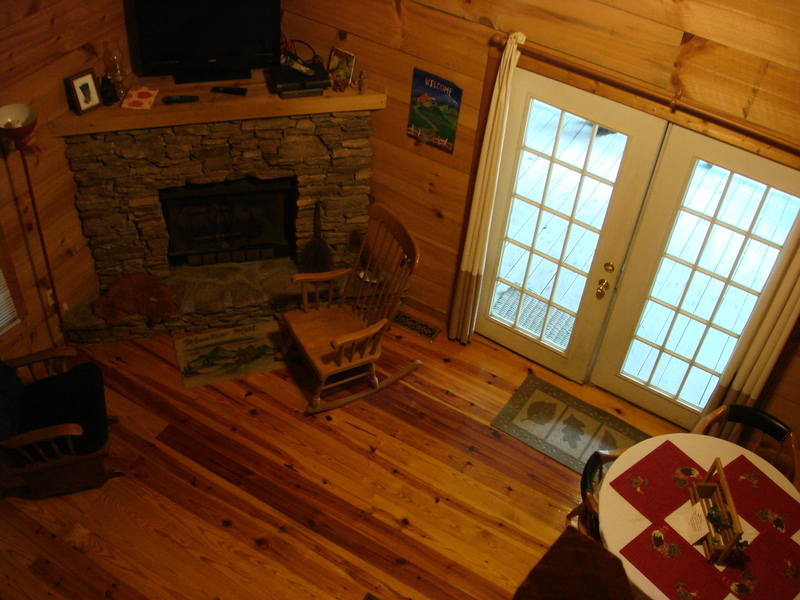 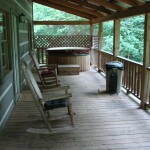 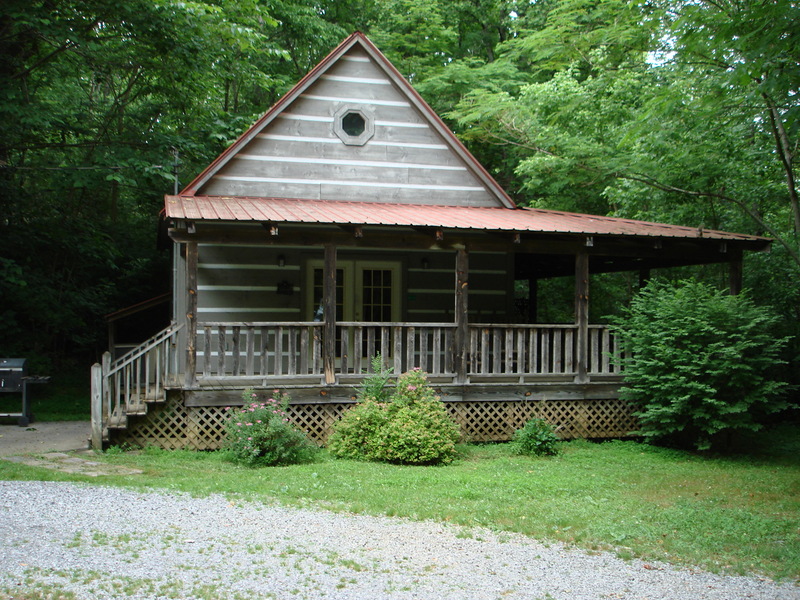 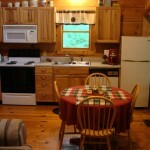 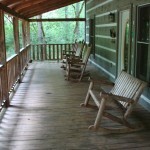 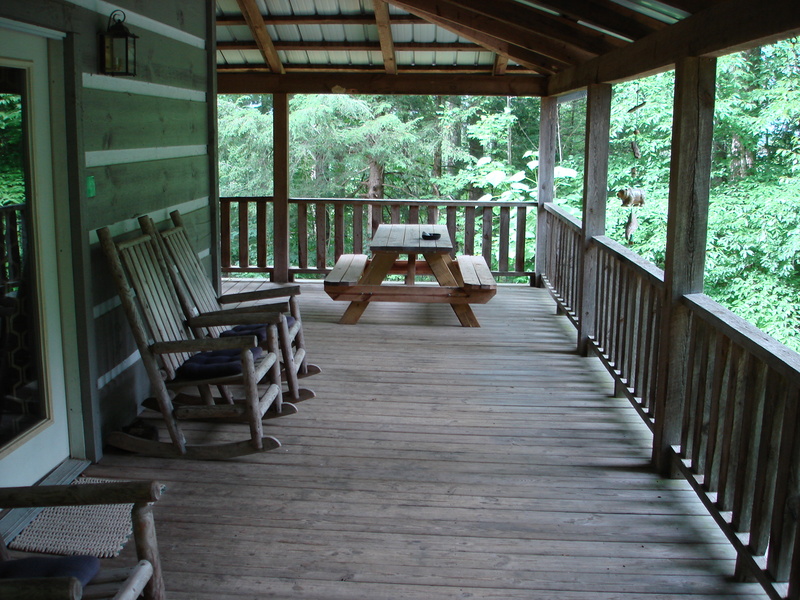 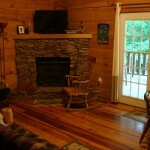 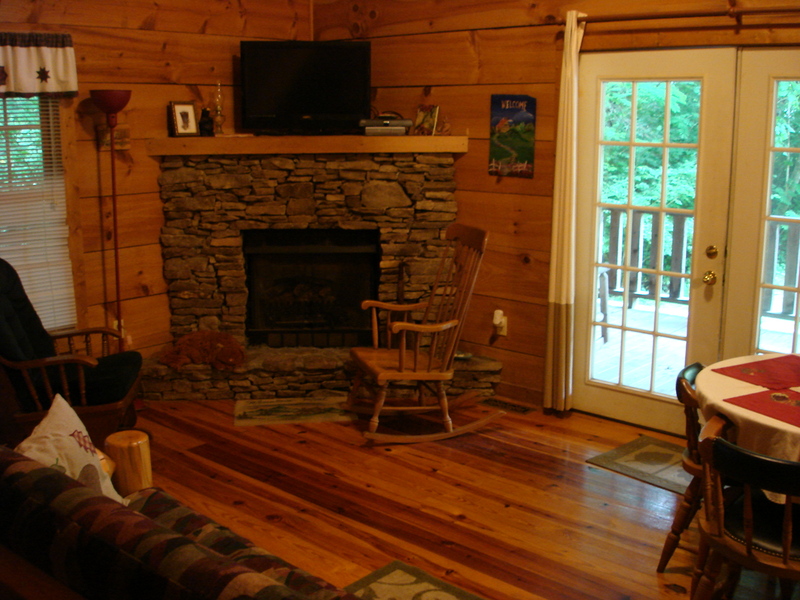 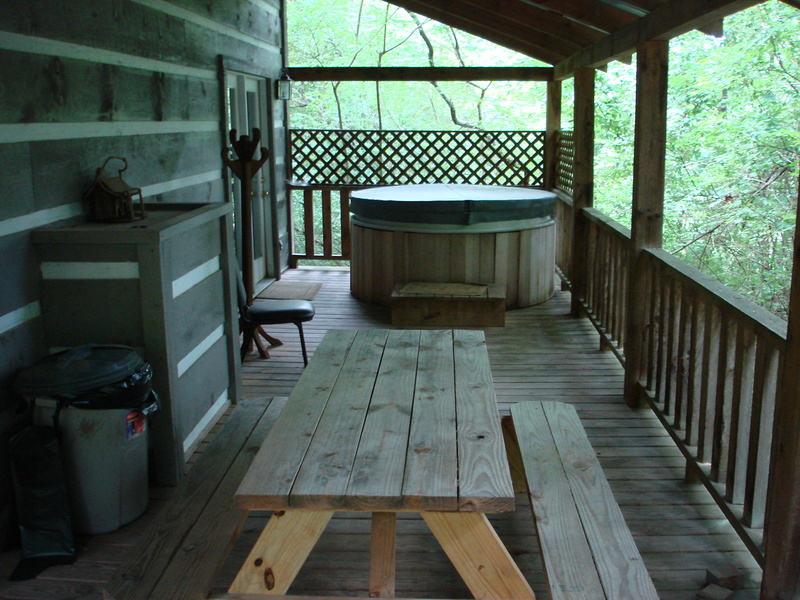 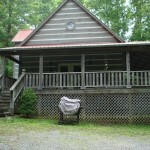 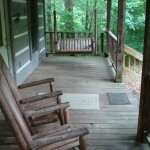 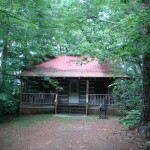 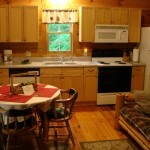 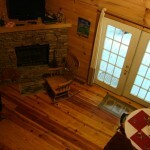 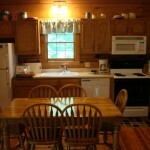 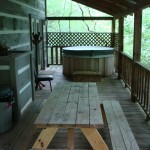 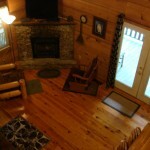 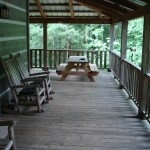 Each of our cabin rentals has a unique theme and is nestled among the forest at the base of the misty Smoky Mountains. 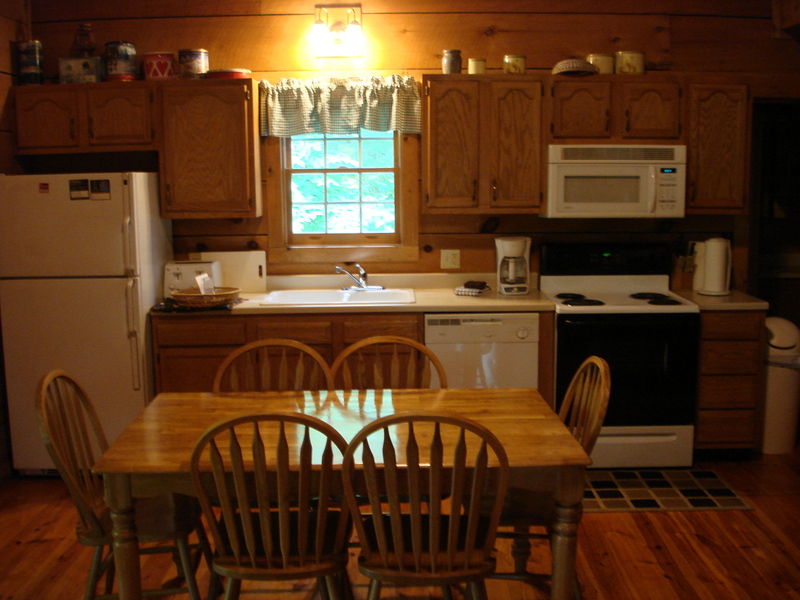 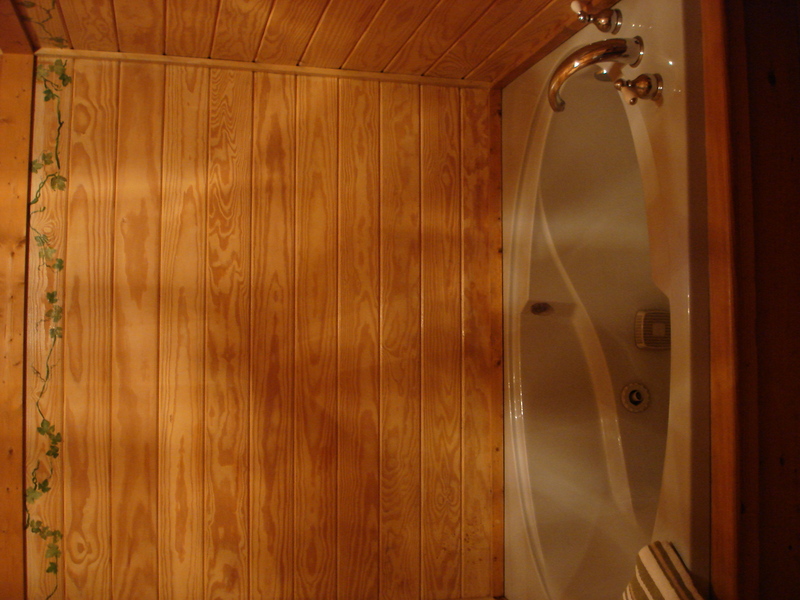 Each of our cabin rentals has a romantic, outdoor hot tub on the deck, hardwood floors, fully equipped kitchen, dining table, fireplace and access to the onsite facilities. 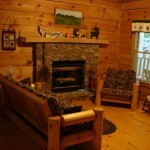 Each cabin is pet friendly and non-smoking. 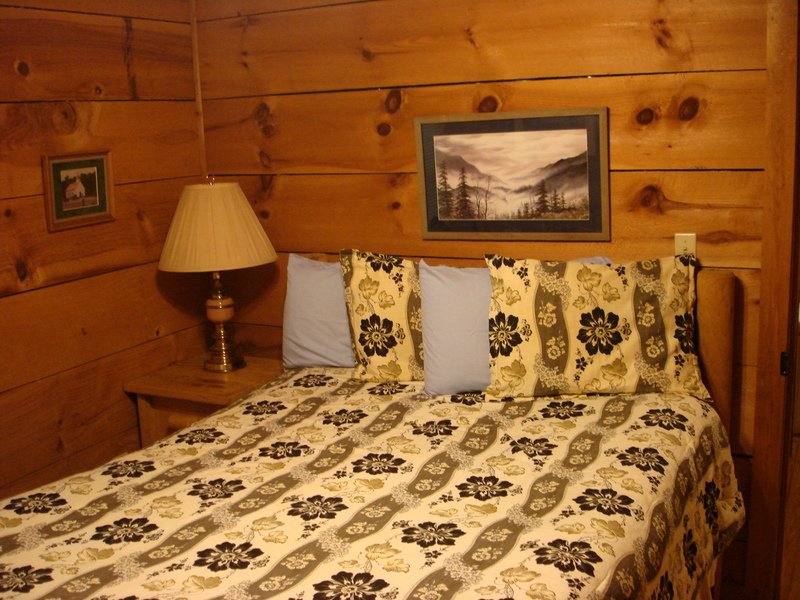 With our five themed cabins, you can pick the theme that fits you. 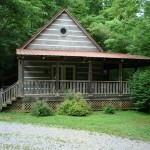 So come visit Townsend, TN. 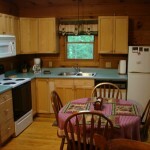 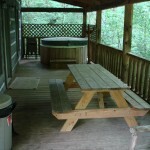 Cabin rentals are designed to fit between 2-10 people so you can plan a romantic outing or a family vacation. 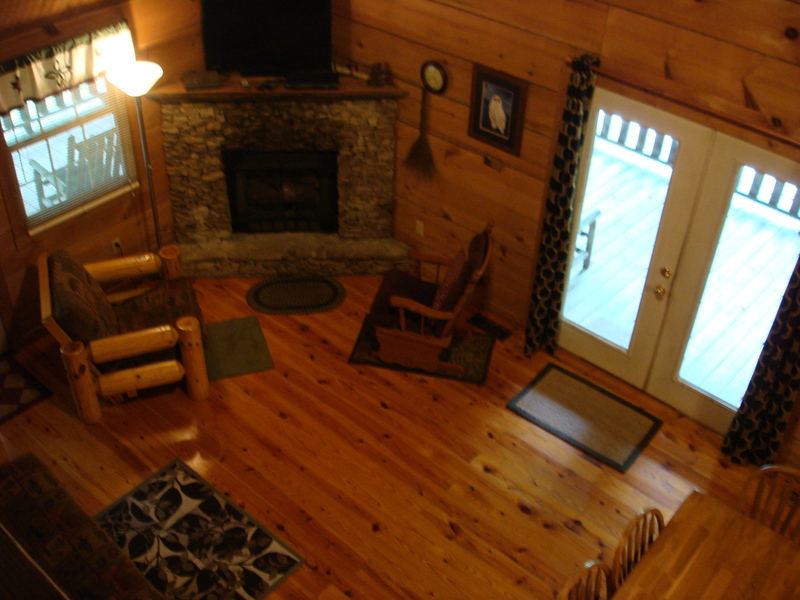 With all these great features let our Townsend, TN cabin rentals be your choice for your next trip to the Great Smoky Mountains. 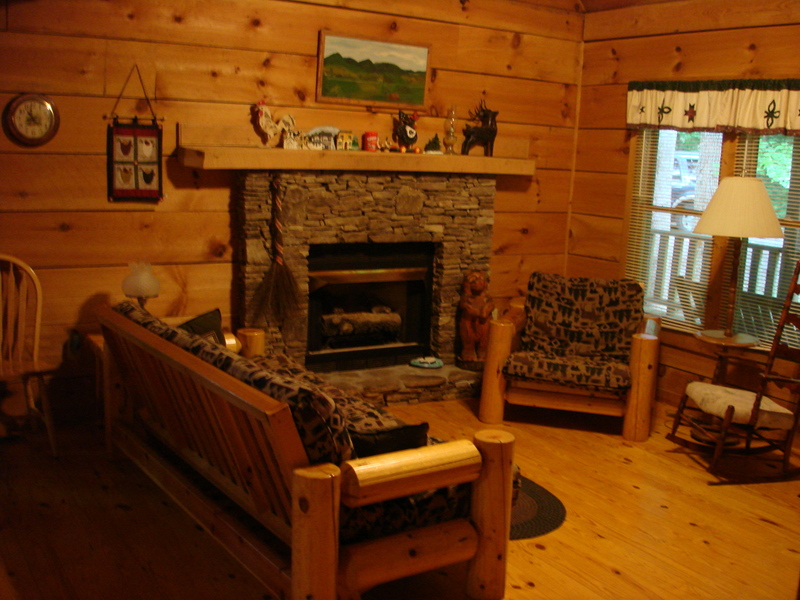 This cabin will charm you with an outdoorsy feel and high cathedral ceilings. 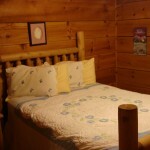 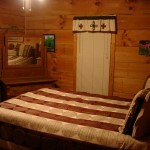 There is a spacious bedroom located in the loft of this beautiful cabin with a full log bed. 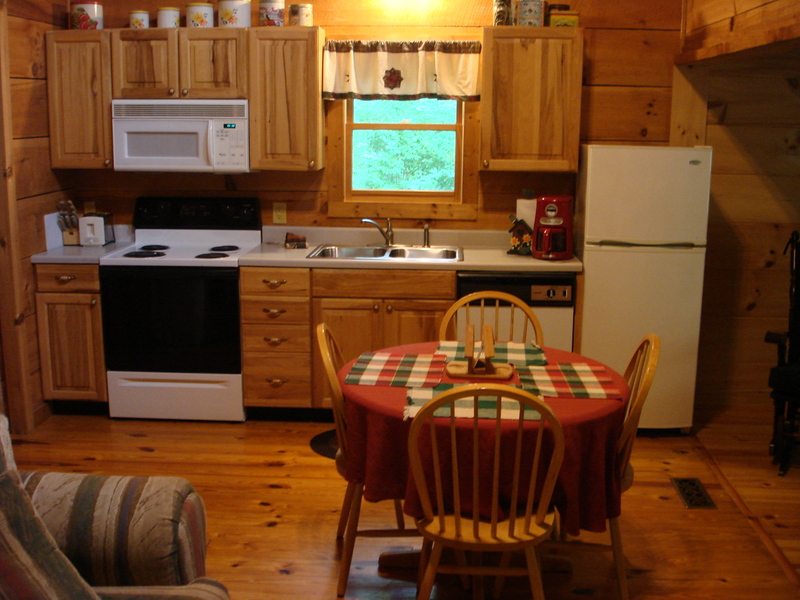 Downstairs is the full bathroom, fully equipped kitchen, dining, and living room, as well as a 2nd bedroom with a queen size bed. 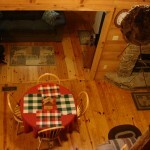 This cabin can sleep up to 6 people and the dining table can sit up to 6. 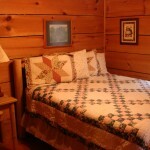 With the decorations, log pole bed, and location, you’ll truly feel immersed in the great outdoors. 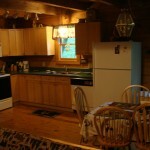 The Fish Cabin is a beautiful outdoor themed cabin. 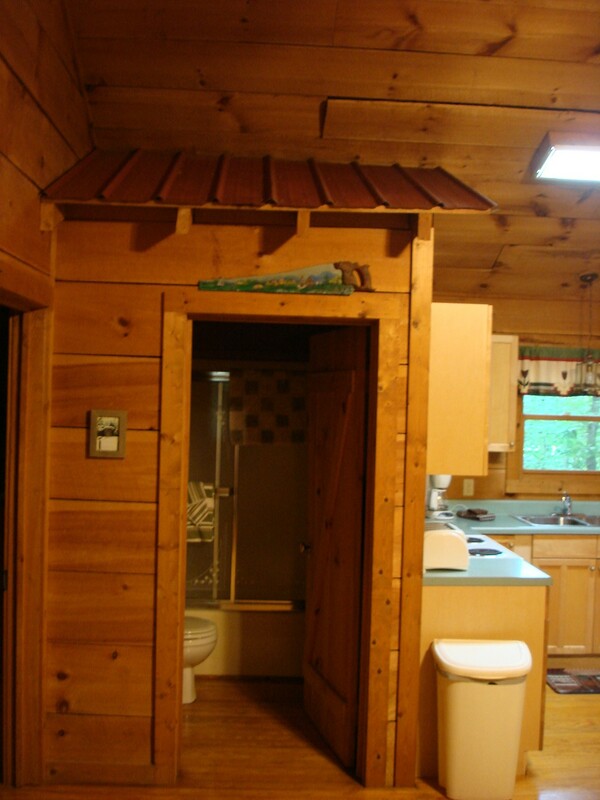 The canoe bookshelves and an in indoor bathroom made to look like an outhouse will remind you of fishing trips you took while growing up. 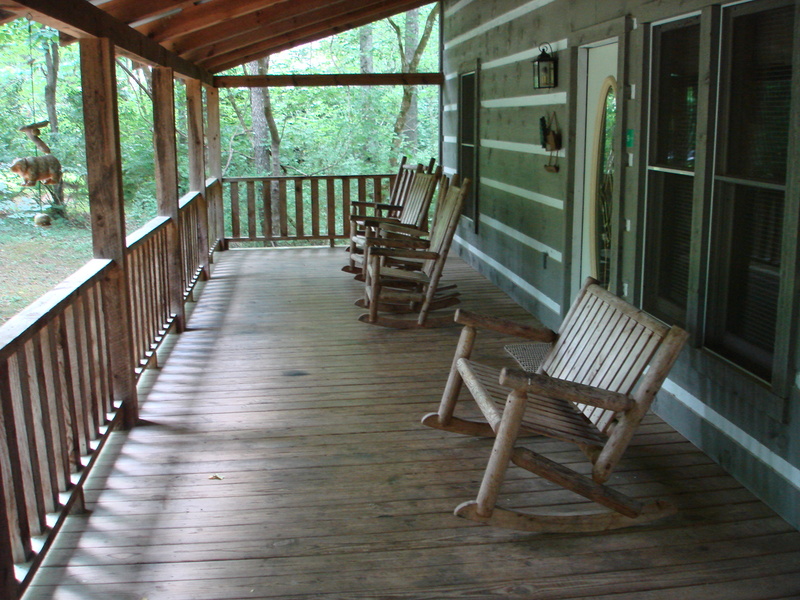 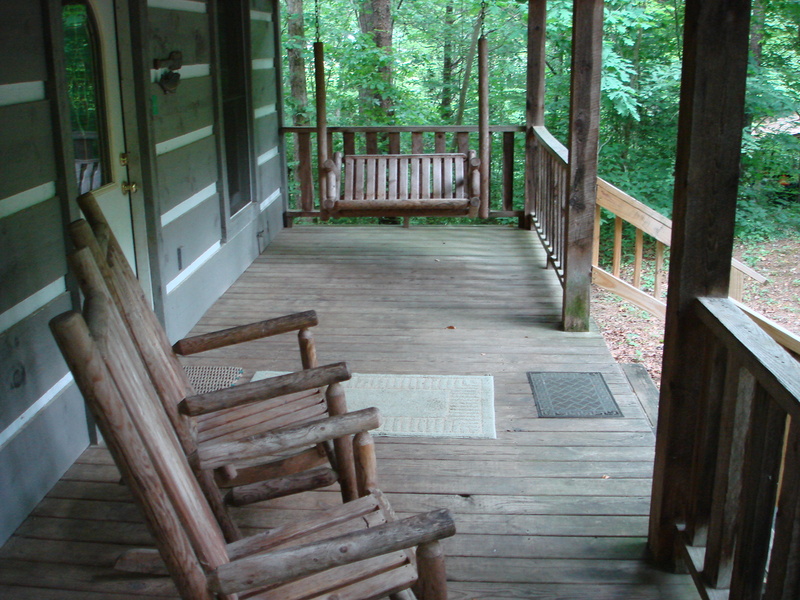 You’re going to love this cabin, because this is our only cabin that has a swing on the porch. 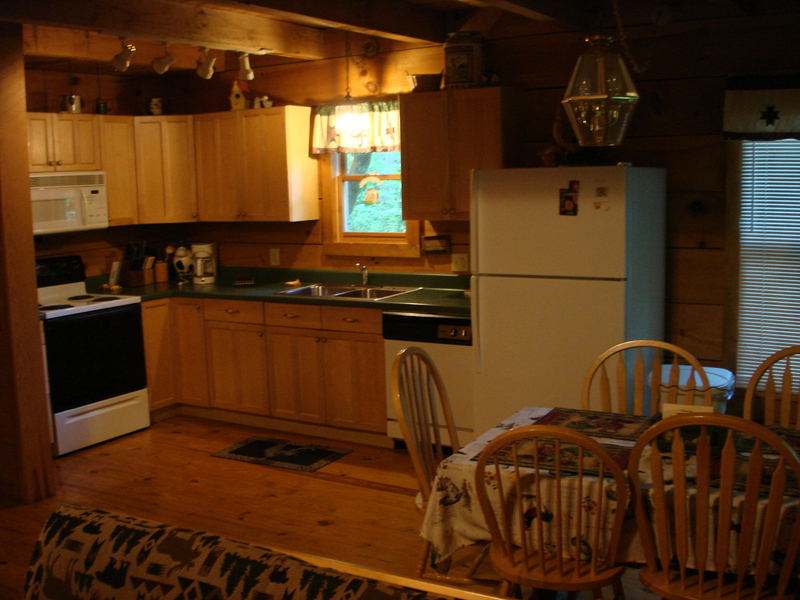 There is a kitchen, living room with a log futon, full bath, as well as 2 bedrooms with queen size beds in this one-story cabin. 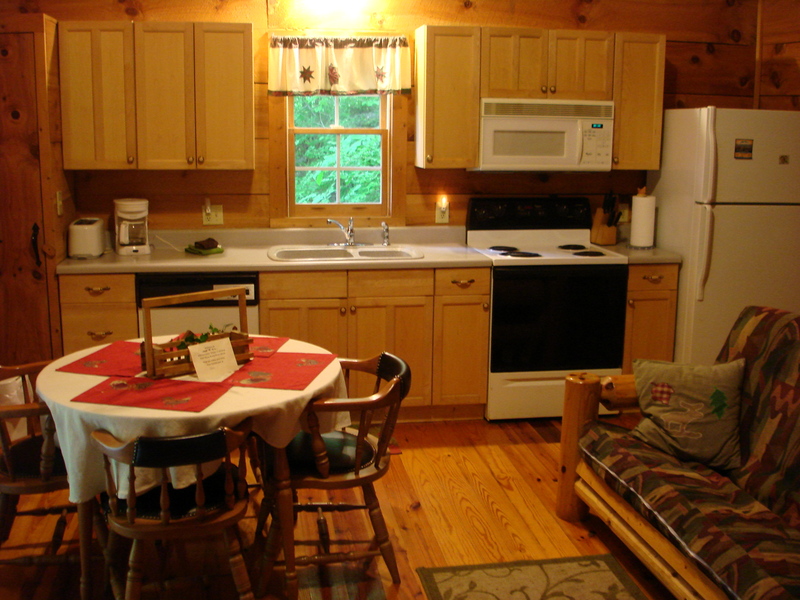 This cabin can sleep up to 6 people and the dining table can sit up to 4. 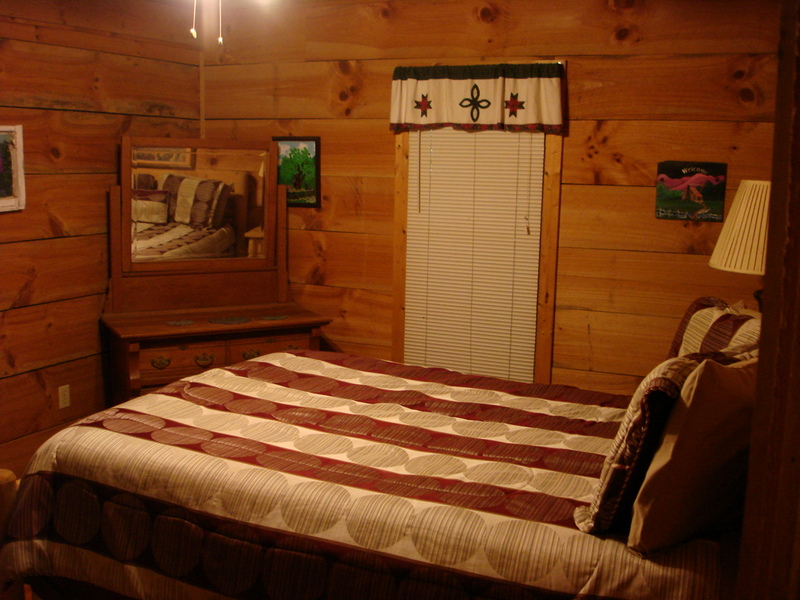 With the decorations, log pole bed, and location, you’ll feel like you’re back on one of your old fishing trips. 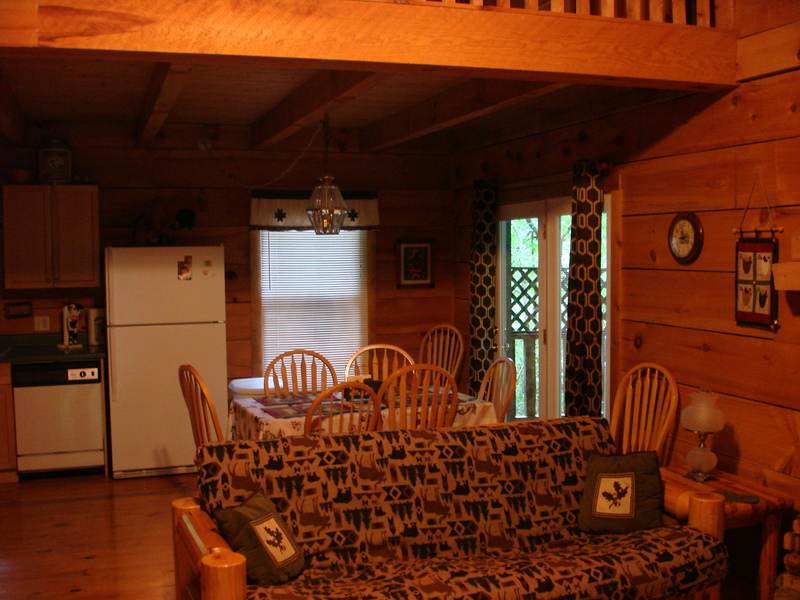 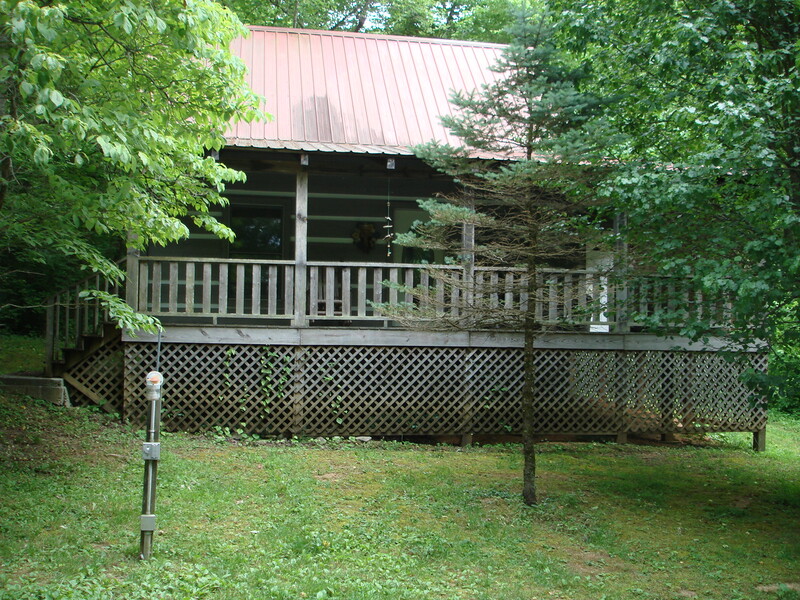 This cabin will charm you with a bird theme and high cathedral ceilings. 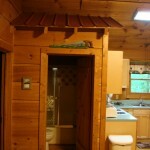 On the way up to the loft you’ll find a unique tree with birdhouses. 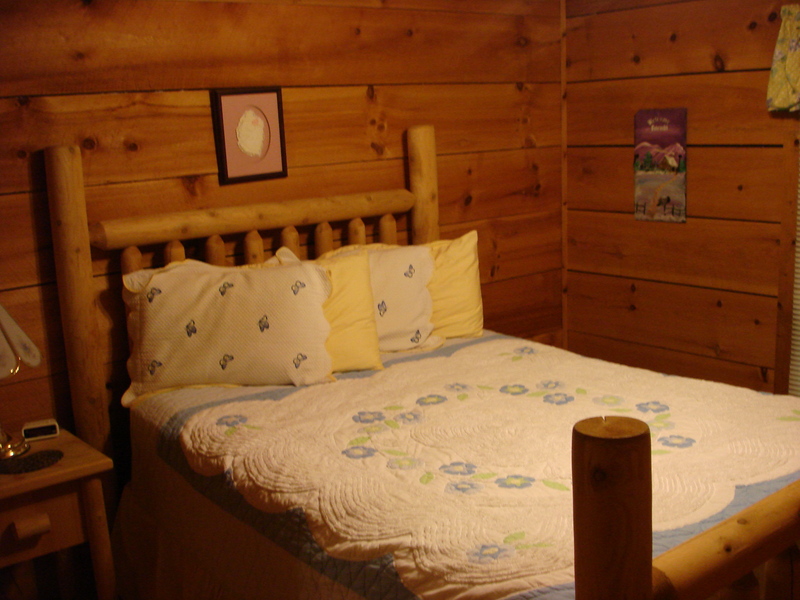 In the loft you’ll find the spacious bedroom with a full log bed. 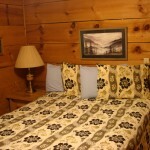 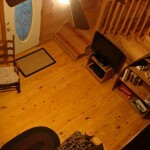 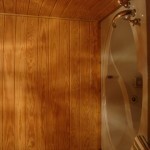 Downstairs is the full bath, fully equipped kitchen, dining area, living room as well as 1 bedroom with queen size bed. 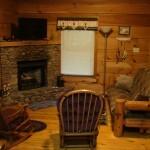 The living room was recently added. 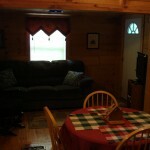 This cabin can sleep up to 4 people and the dining table can sit up to 4. 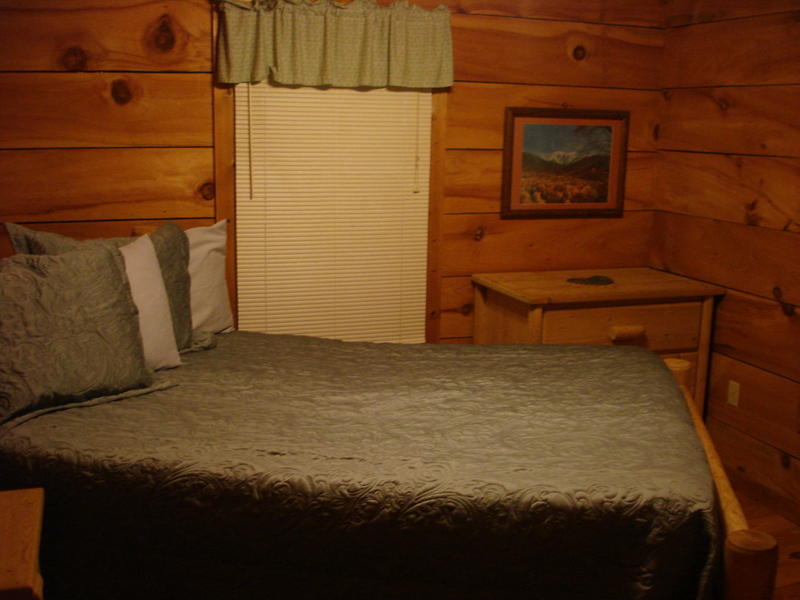 With the decorations, log pole bed, and location, you’ll feel at home in the great outdoors. 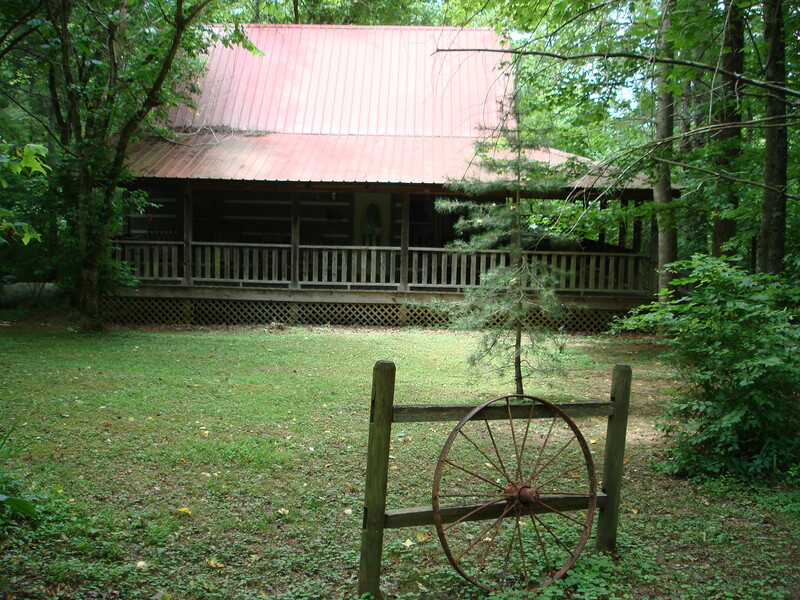 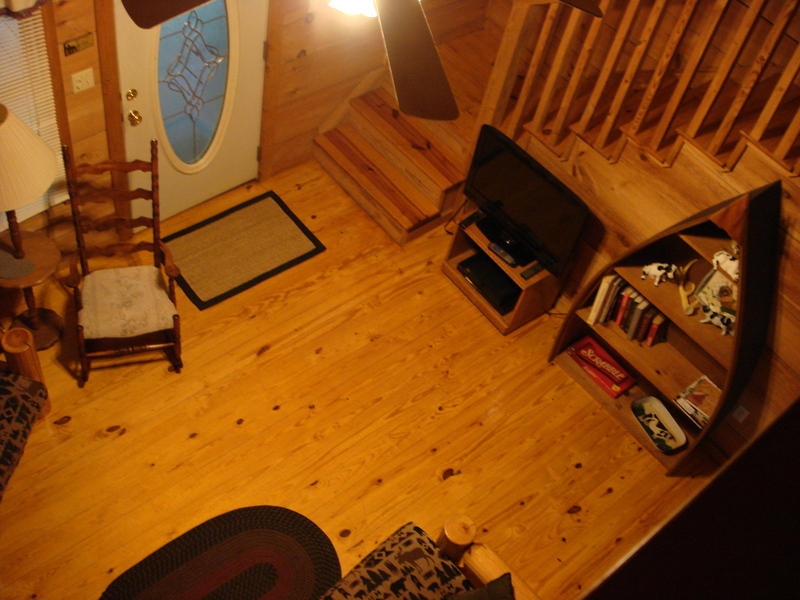 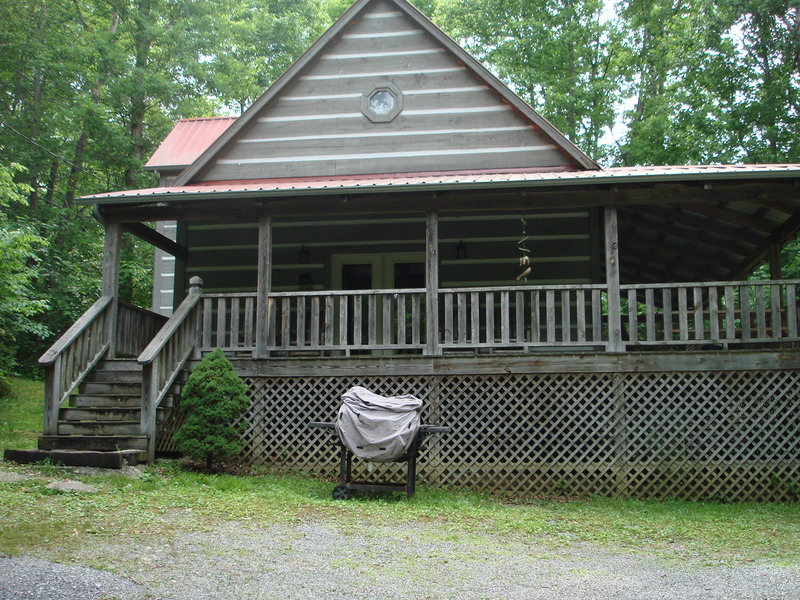 This cabin has farm tools with canoe bookcases, decorations, and high cathedral ceilings. 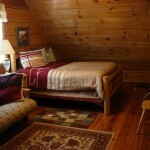 In the loft, you’ll find a queen bedroom with an additional futon sofa sleeper and a full bath. 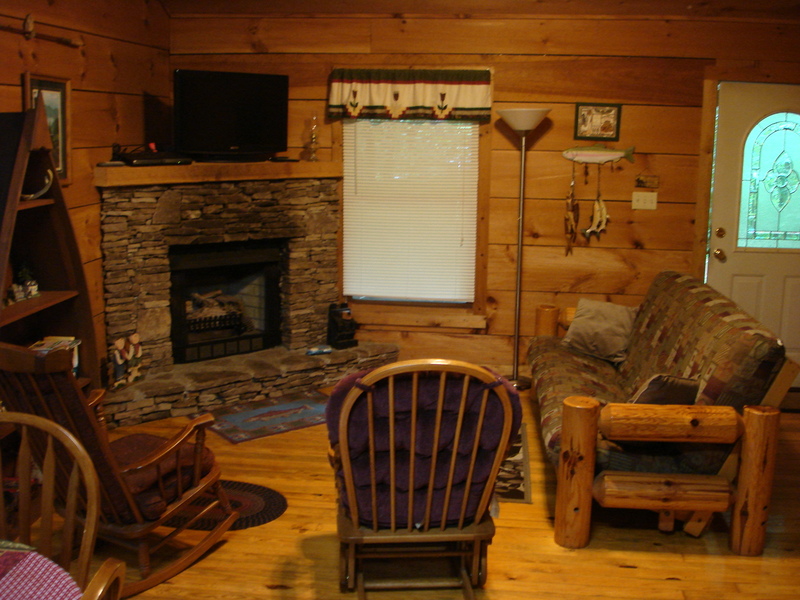 Downstairs is the full bath, fully equipped kitchen, dining area, living room with an additional futon sofa sleeper as well as a 2nd bedroom with a queen size bed. 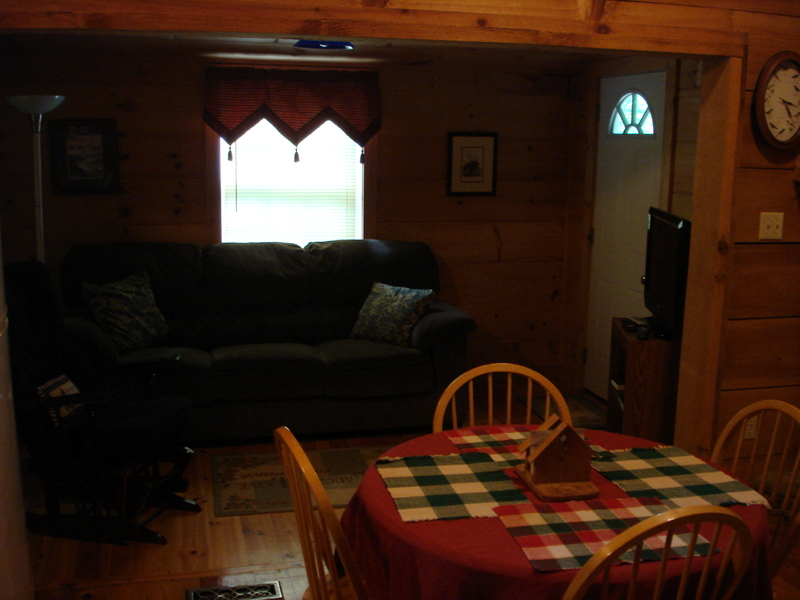 This cabin can sleep up to 8 people and the dining table can sit up to 6. 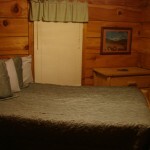 With the decorations, log pole bed, and location, you’ll truly feel immersed in the great outdoors. 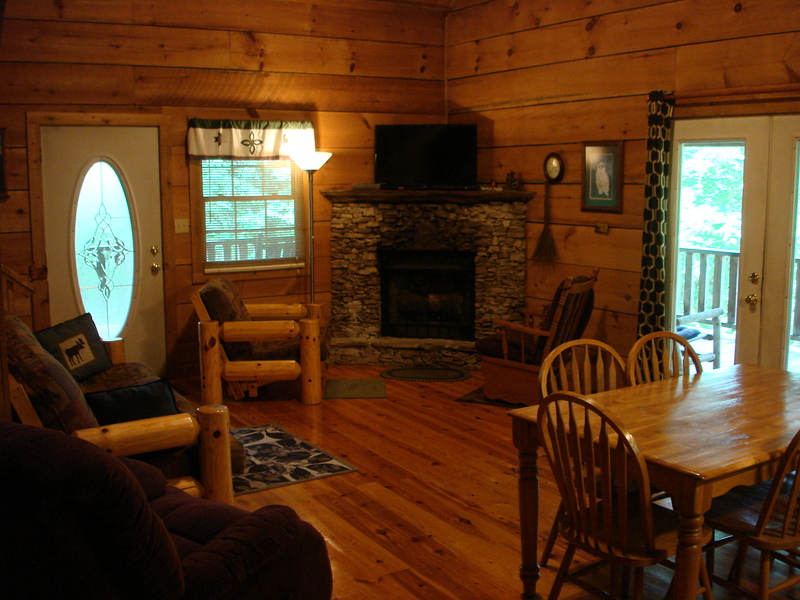 This cabin will charm you with an outdoorsy feel and high cathedral ceilings. 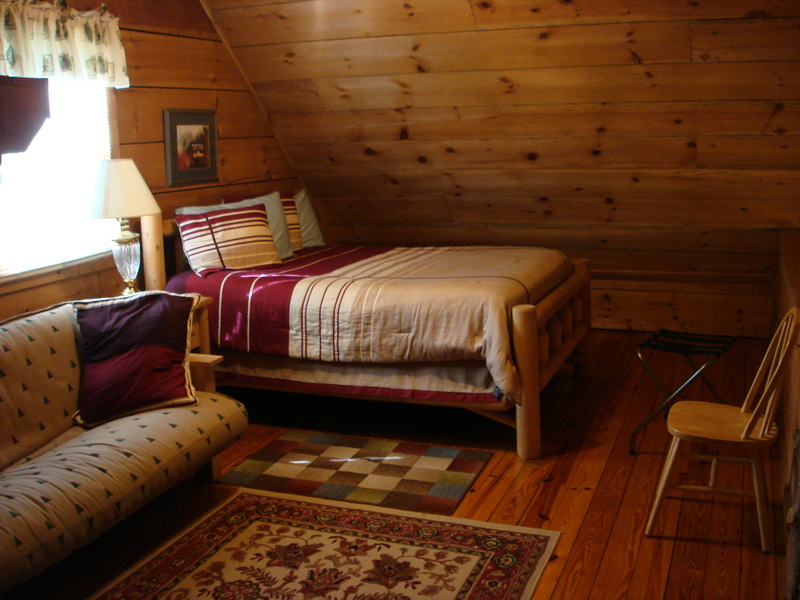 In the loft, you’ll find a queen bedroom with an additional futon sofa sleeper and master bathroom with a Jacuzzi tub for 2. 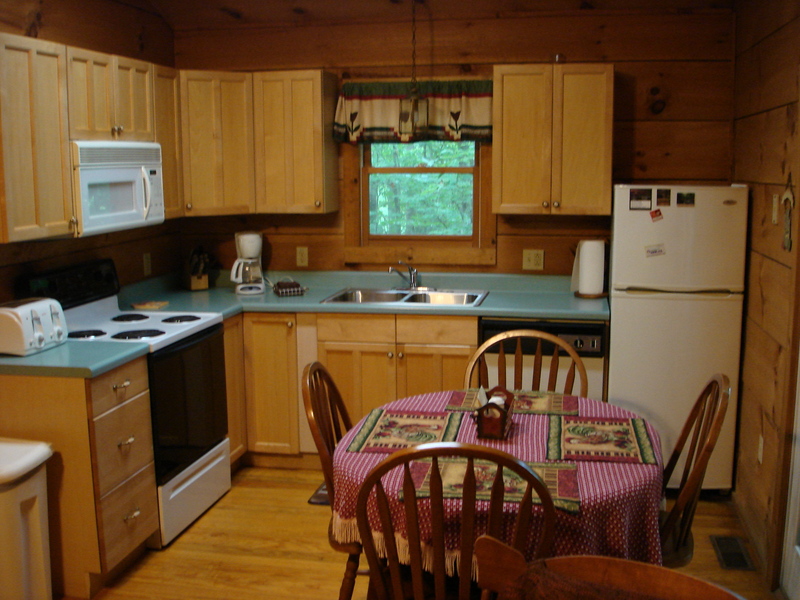 Downstairs is the full bath, fully equipped kitchen, dining area, living room with additional futon sofa sleeper as well as a 2nd bedroom with a queen size bed. 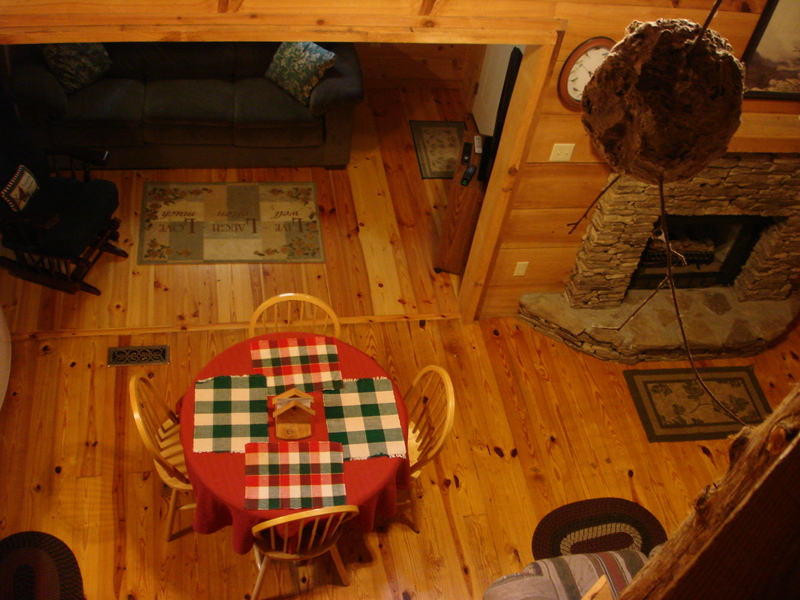 This cabin can sleep up to 10 people and the dining table can sit up to 6. 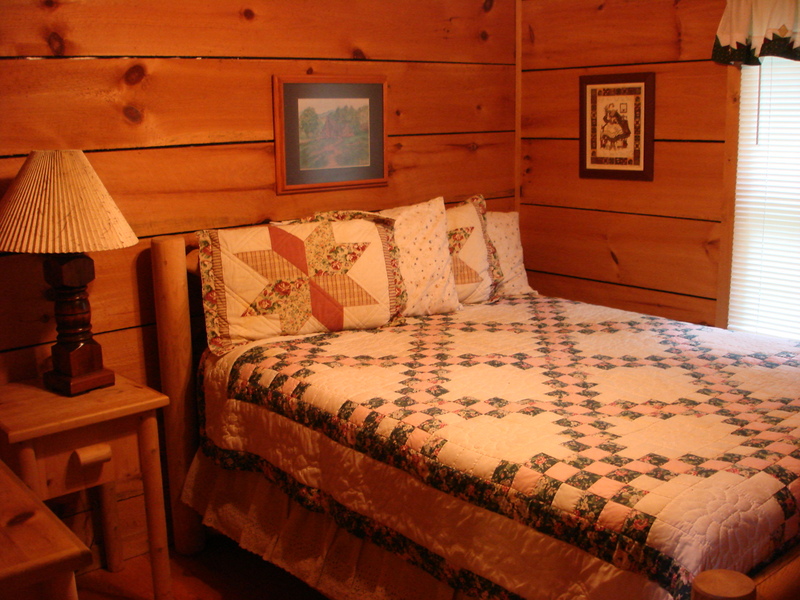 With the decorations, log pole bed, and location, you’ll feel nice and cozy in the great outdoors.